Are You Done with the Breakdown? Your cells are breaking down. Healthy lifestyle or not, no one escapes the consequences of age. Although you may feel well, the effects of cellular breakdown are sneaking up on you. Current research shows that environmental factors such as stress, diet, the air we breathe, and aging can actually turn off genes, meaning the genetic instructions that dictate healthy body functions don’t get through. What if there were a simple way to address this cellular breakdown? Not just mask the symptoms, but actually attack problems at the source—the genetic level? Everyone is born with smooth, resilient skin. Your cells provide the “fingerprint” for this original beauty. Youthful skin renews itself consistently. Over time, healthy cell turnover slows dramatically. The result is visibly aging skin. Your original, beautiful skin doesn’t need to be a thing of the past. 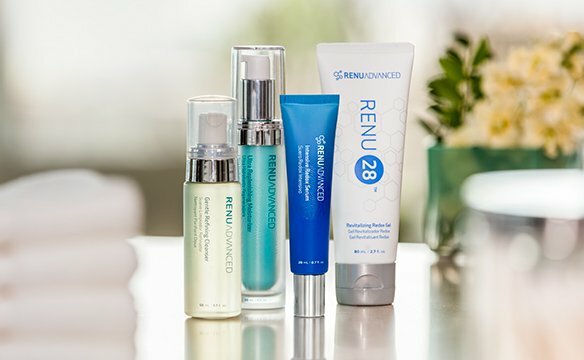 Introducing RENU Advanced, the first and ONLY redox anti-aging face care system. ASEA has taken the best of science and nature to create RENU Advanced. 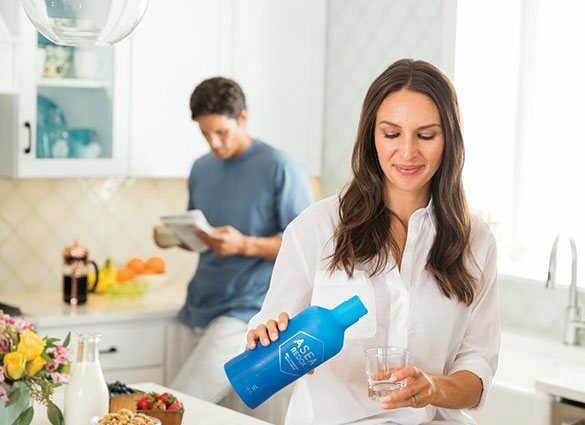 This proprietary face care system provides all the benefits of redox signaling technology together with exclusive redox-friendly, anti-aging blends. Get your best skin back with RENU Advanced. In our quest for healthier-looking skin, we have an endless supply of products to choose from, from the affordable to the expensive, from the soothing to the superficial. In an industry flooded with skincare products, RENU 28 stands alone. RENU 28 Skin Revitalizing Gel is revolutionizing the way we think about skin health. No more covering up or tightening or spot-moisturizing. This is foundational skin health that starts in your cells.